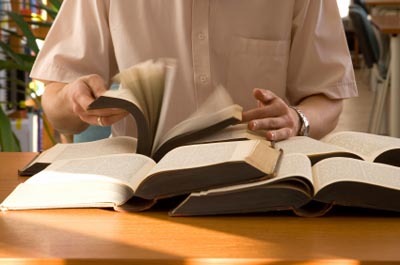 The average adult can only read an average of 250 words per minute (WPM). Given that an average novel has between 90,000 and 140,000 words, it would take an average person 6 to 9 hours to read a book (provided that it was all read in one session, and very consistently, and with absolutely no interruptions or distractions). Of course, most people don’t have this kind of time, patience, or attention span. On the other hand, the average speed reader can maintain an average of 600 WPM, with the same comprehension and retention rate. Through special speed reading training, people have consistently broken the 1,000 WPM barrier. So-called “professional speed readers” achieve reading rates upwards of 2,000 WPM, with higher comprehension and retention than both the average reader and average speed reader. The current fastest reader in the world is said to reach close to 5,000 WPM with average understanding of the material read. 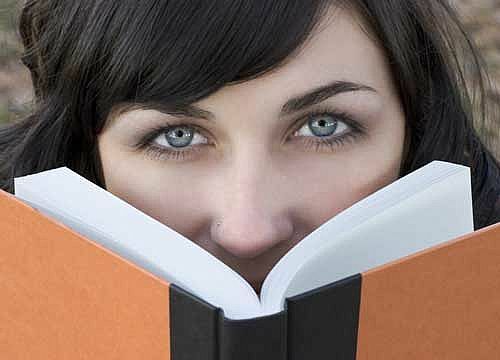 It turns out that anyone who wants to increase their reading speed can do so. With minimum proper practice, people can nearly double their reading speed. In this article, I will introduce two simple techniques that you can start using today, and start reading faster immediately. The two main issues that slow people down are subvocalizing words in their head, and looking back to re-read words. The first of these issues is the reason that people read about as fast as they can speak. To break the habit of backtracking (looking back at the same line of text read previously), one only needs to train his or her eyes. 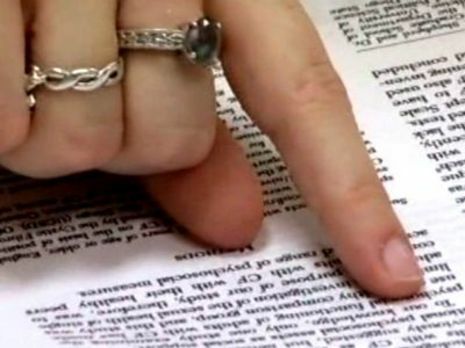 Techniques that help with this include moving your finger below the line of text being read, and following your finger with your eye. Move your finger at a constant rate, and soon your eye will get used to scanning a line of text at that speed. Eventually no finger is needed to guide the eye. The best way to stop sounding out words in your head is to simply be conscious about the fact, and simply “photograph” the word with your eye, and let your eye take care of registering what the meaning of the word is. With practice, you will see how amazing this is. At first some people don’t even believe that this is possible. Think about it, though. When you see the shape of a heart drawn somewhere, you need only get that image in front of your eyes, and your brain instantly identifies with the image. You don’t need to sound out the word “heart”, “love”, or “passion” in your head. Your brain has a particular connection with the symbol (the shape, to be more specific). The same thing is true of words, but since most people aren't taught this principle, they never think about it. The truth is that your eyes word independent of your ears, and your brain need only a fraction of a second to register thoughts meaning. While reading from a book is more natural and comfortable to most people, the best speed reading programs today come in the form of software. More particularly, the best tools available today to help you become a faster reader are online reading software. There are many reasons that learning to speed read on a computer screen is such a powerful thing. For one, since the definition of most monitors isn’t as high as print paper, once your eyes are used to visualizing words on a screen, you’ll achieve faster rates when reading on paper. Also, since there are more content available digitally each day, being able to read quickly on a screen is a great skill, which pays off very quickly and very generously. The very best speed reading software that I know of is an app available on the Google Chrome web browser. You can get the app directly from the Chrome Web Store. The app is called Speed Reading Trainer, and is one of the most used educational web app today. Great for young people and adults alike. Highly recommended. WOW This article was awesome and the app amazing thanks 4 sharing! !